I had other fish to fry this week. Like wardrobe cleaning and household chores which took precedence over creativity. Bummer. I hate it when I have to act all grown up and sensible. It stinks. My week wasn't a total bust in the creativity department. I focused on making slow but steady progress on a couple of projects. More work on the black and white and red quilt , which really needs a name because I'm fed up with typing black and white and red quilt every time I mention it. I've lost sight of where I'm going with this because all I'm doing is sewing strips and pressing seams. Once I'm done with that part the whole top should come together pretty quickly. It's just excruciating getting there! The Dresden's were completely neglected.I feel like the Flying Dutchman doomed forever to sail but never reach port with that quilt. By hook or by crook I'm going to make some progress there this week or die trying! I stared at some Christmas fabrics , played with them a little bit and then stared at them some more, trying to decide what I want to use for a couple of new projects. I think I have it all squared away in my head. It's almost July so it's time to start thinking Christmas sewing. Maybe then I'll actually be finished by Christmas! I like the idea of Christmas quilting much better than the reality usually. I have yet to make a Christmas quilt I adore. Maybe this year? I took possession of some new fabrics for my stash which doesn't really count as crafting but I'm including it anyway, mainly because I spent some time lovingly stroking them and dreaming of new projects. I suspect Little P is going to benefit from this lot of cute-ness. And Little Miss Sunshine donated some extra fabrics to the cause from her stash. And in crafty mail news this week Lisa from Calicos in Bloom sent me this fabulous hot pad from a giveaway I won on her blog recently . Matches my kitchen perfectly. I love it! Thank you Lisa. I'm planning a sewing assault this week. We'll see how that goes. Meantime pop by Kate's place , Life in Pieces to see what other people got up to in the sewing arena this week. Why not just call it the BWR quilt until you're done and the name comes to you? It looks FABULOUS, by the way! And that hot pad is mighty yummy, too! I know what you mean about losing track with the continual sewing strips together. Maybe you could name that quilt The Flying Dutchman. Love that potholder too. Lucky you! I love that quilt name idea Marti. It's going in the ideas book for future consideration. Thanks! That looks like a fair amount of craftiness in your week - stroking fabric and pondering new projects has to count otherwise I'd never start anything. Love your new hotpad. Lucky you. Enjoy the creative spaces this week. Even though it seems to be taking forever you have lots and lots of strips stitched together in that photo. St Kilda or Bleeding Collingwood come to mind for names. No need to thank me, lol. Very pretty cupcakes there Shay. For someone who said she can't embroider you seem to be doing a very fine job indeed. Lucky you that's a very pretty hotpad. I always think of Christams in July then it is December!!!!!!!! Didnt we just have Christmas? Love the pot holder - very funky! Okay, my idea for the name is the book quilt .. y'know, black and white and red all over ... we both know I am not very good with names. Question: how did you take possession of new fabrics? and they are really nice fabrics .. what are you thinking about doing with them? can't wait to see. and the hot pad is really nice ... very cool. You should call your quilt The Sunburned Zebra. Or you could go with The Newspaper Quilt, because it is black and white and read all over. Love the new potholder! Love it! And those cupcakes look good enough to eat! Also, I'm thinking about Christmas quilts too. Not so much Christmas fabrics though, but quilts to give for Christmas so I'm not making myself crazy the night before Christmas trying to finish up seven different projects. Anyway . . . a little craftiness is better than no craftiness at all. Don't beat yourself up. Way to go Girl, you really got a lot accomplished. I love those cupcakes - really cute. And the BWR Quilt looks great already. Can´t wait to se it all put together. I agree with AMW I think BWR quilt is a good name. Love the cupcakes! I think you've had a lot of craftiness going on there. You seem to be not focused on one thing...must be the weather. I too get sick and tired of projects at times. 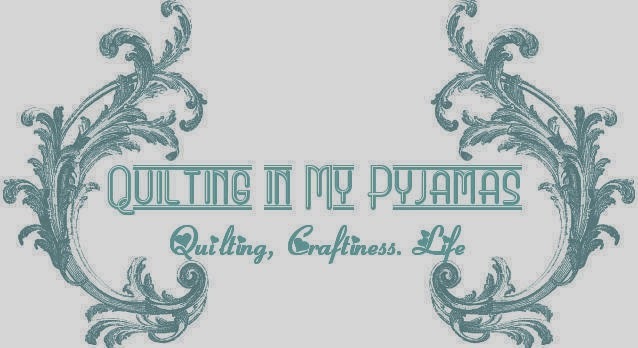 ie...the bloody quilt...but do what you love not what you'd love to do! Looks like you kept busy with quite a few projects. I love your cupcakes! I've only ever named one quilt. Mostly I refer to them by their color. It does get tedious to type. what's black, white and red all over? an embarrassed penguin!! How cute is your new stack of fabric. Stroking new fabric is an important part of the process, it's a bonding thing. Nice hot pad, I'd be tempted to hang it on the wall to look at, it's too lovely to use. The BR&W quilt is going to be just stunning! (How's that for shortening the name?). And cool on the potholder of the same color scheme. Oooh, very pretty Christmas fabrics. Thank you for sharing, I need to get my new fabric fix somewhere. It's good to pet new fabrics, I'm sure that there is some type of hormonal change that occurs when you do that. Must be why I'm so cranky these days, no new fabric to pet. Great ideas on potential names for the RWB quilt. It's shaping up nicely. I had a few thoughts on the name but they all had to do with the old black and white jail uniforms, probably not where you want to go. Hope you can ditch the grown up stuff and play this next week. no clever ideas for the quilt - but I bet it's much easier to make a Christmas quilt before the hustle and bustle of the season! silly question - you're not embroidering those cupcakes by hand, are you? love the new stash of juvenile fabrics - can't wait to see what you make for little P! cute potholder - will you use it or display it? A sewing assault? I shall look forward to photo evidence of the carnage. I'm also looking forward to seeing that awesome BWR quilt come together! Boys Will Be Boys! It still makes me smile every time I go upstairs and see the quilt I made for Do lad from that fabric on his bed. I hope he NEVER outvotes it!